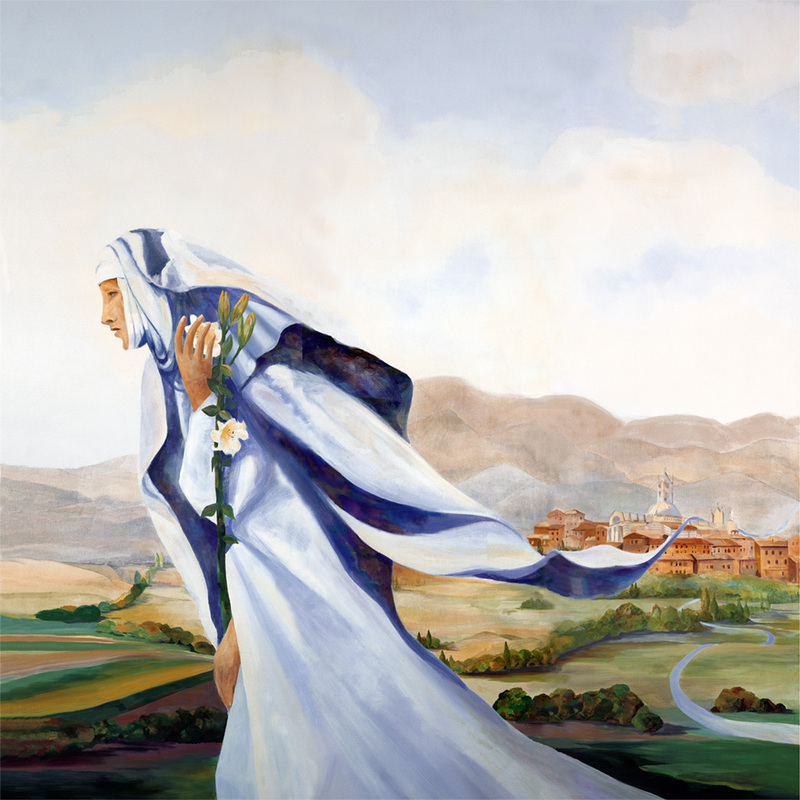 This weekend the Dominican Sisters and Associates of Peace celebrated the feast of St. Catherine of Siena with all of our Dominican family and the Church. I was deeply moved once again by her message that preaching Truth with our voices is essential, since it is silence that kills the world. St. Catherine lived those words by what Mary Catherine Hilkert OP described in Speaking With Authority, as “the authority of vocation, wisdom and compassion.” This lay woman named Doctor of the Church dramatically lived the baptismal call (vocation), the gift of prophetic preaching (wisdom) and overwhelming Christian love (compassion) in 14th century Italy. Her message to all of us today is to do the same-use our voices and break the silence when necessary with love in our hearts. NACAR is an organization which provides the forum to speak, dialog and learn from theologians, experienced associates and sisters as well as emerging leaders in the associate movement in North America. The similarities of 14th century Europe to 21st century life warrants the need for voices to speak against institutionalized racism and for the uprooted migrants, refugees, and displaced persons, the homeless veterans and citizens, the trafficked women and men, the earth in jeopardy, etc. etc. One opportunity that we have (which Catherine did not!) is to use the NACAR platform to inform, collaborate and disseminate facts, describe actions, and when possible gather together at in-person or zoom meetings. We can exchange ideas on our NACAR social media and contribute our written analysis, reflections and prayers to The Associate online publication. The challenge is to be a “Catherine” today and NACAR offers a forum. We welcome a new Community Member to NACAR, the Congregation of St. Joseph, www.csjoseph.org! So happy you are with us! The last in the series of Creative Conversations, The Future of Association, will be offered on Wednesday, May 9th, facilitated by Sr. Rita Woehlcke SSJ and Associate Kathy Noether, Sisters of Notre Dame de Namur. If you would like to participate, please send your name, congregation and email address by contacting us soon. An evaluation survey will be sent to all of those who participated in any of the Creative Conversation webinars so we can get your feedback. We hope to continue to offer these quality programs in the future. Don't forget that all of the Creative Conversations videos and notes can be found on the NACAR website under Resources/Videos. Please login first as they are for Members Only.